I was introduced to Ramya’s "Mane Adige" recently & was really happy to see her recipes & the presentation she does for all her dishes. 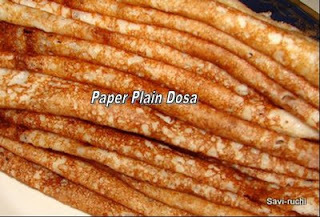 The recipe that attracted me most was her paper plain dosa. I immediately noted down the ingredients & prepared it in a couple of days. I’m writing the ingredients here again for my reference. 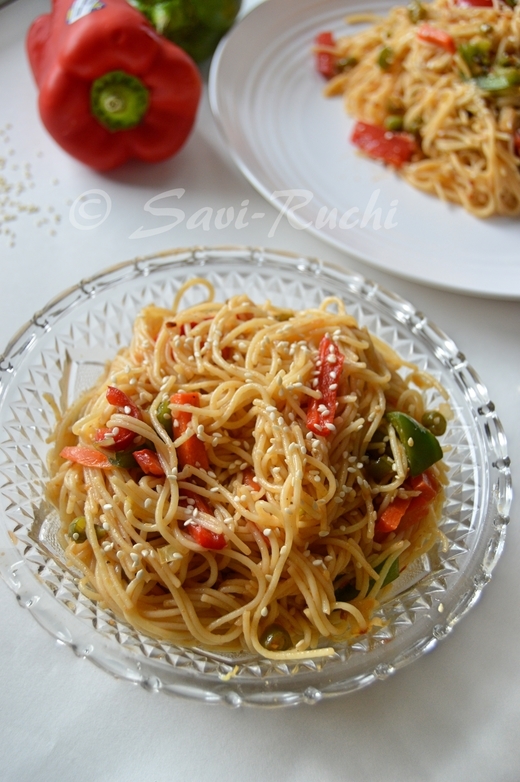 Soak all the above mentioned ingredients (except salt) for 4-5 hours. Prepare the batter by grinding the ingredients into a smooth paste. The batter should be like milkshake. Let the batter get fermented for 8-10 hours. In the above picture, you can see a pile of dosas prepared using the Mane Adige’s recipe. First time to ur blog. Looks great. Dosa looks very soft & yummy! You may find something interesting in my blog. Super Dosa recipes.I studied in Mysore..so Im feeling so nostalgic looking at all ur dosa recipes.